We have recently updated our ISBE module to include some key enhancements not found in any other software, including. The outline, found at the beginning of many larger entries, is linked to the corresponding section in the body text. A click will take you there! Nearly 12,000 links! When the cursor is placed over another topic link, a preview will display the beginning of that topic. A click will take you there. This allows the instant display of all places in the title that includes the current Bible verse selected in the Bible panel. We have made several formatting changes to improve text display, such as making section headings bold, making outlines have bold digits and indentation, etc. These new features along with Bible Analyzer's other study features makes this module of the International Standard Bible Encyclopedia one of the most useful available. 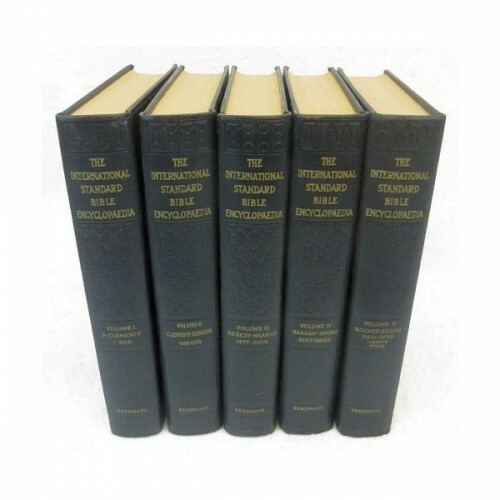 Developed by a team of over 200 of the world's most renowned Bible scholars, under the direction of Dr. James Orr, International Standard Bible Encyclopedia (ISBE) is a classic six-volume work that explains practically every word in the Bible. This exhaustive reference features over 9,300 articles with definitive background information about the people of the Bible, Greek and Hebrew word meanings, archeology, history, customs, daily life, and much more. It is an asset to any believers study library. This resource is considered by many as "strongly conservative."